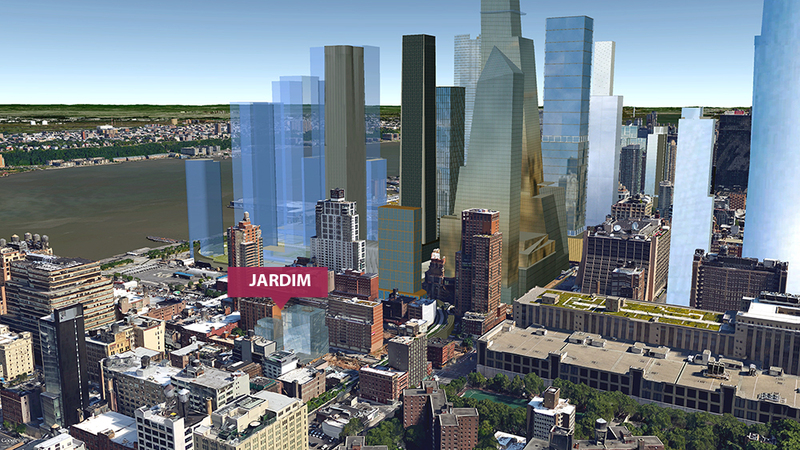 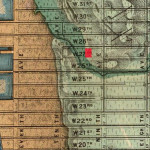 According to Egbert Viele’s 1865 map of Manhattan, which surveys the original coastlines, streams and topographical features of the island, Jardim’s site lies on the marshy banks near the mouth of a vanished stream. 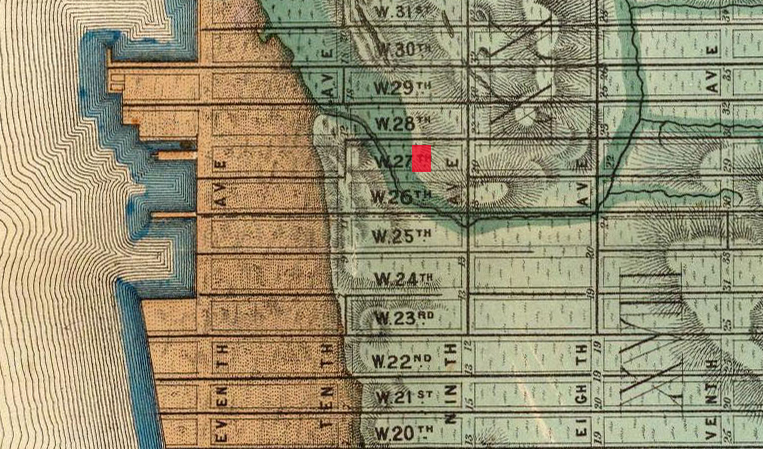 Also from the map we can see that the original coastline of the island runs alongside the west side of Tenth Avenue, more than a full block from its current location. 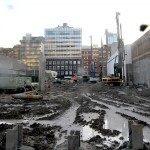 This probably explains the soupy consistency of construction sites in the area. 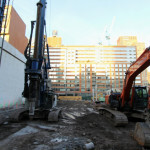 Nevertheless, it’s expected that Centaur’s mudpit will transform into 36 multi-million-dollar residences surrounded by a lush private garden by late 2016. 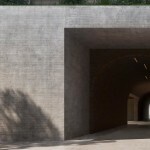 Jardim is Isay Weinfeld’s first New York City commission. 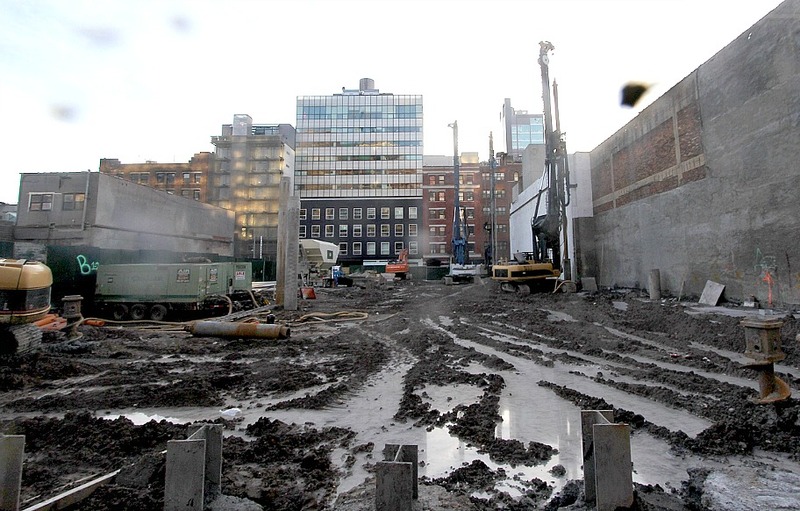 The São Paulo-born designer is known for his fantastic play of solid volumes hollowed out by sweeping voids, giving his work an inconceivable lightness despite the austerity of the materials used. 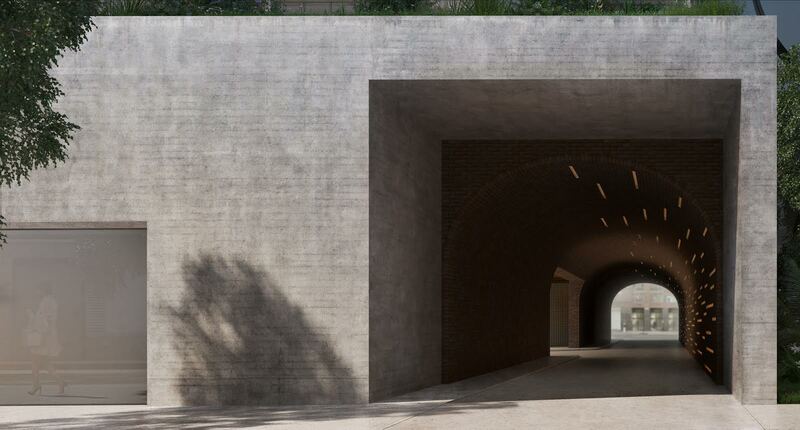 For now, the only glimpse we have of his West Chelsea project comes by way of the building’s teaser website where a provocative rendering visualizes a cavernous through-block entry and driveway seemingly cut into a solid block of concrete. 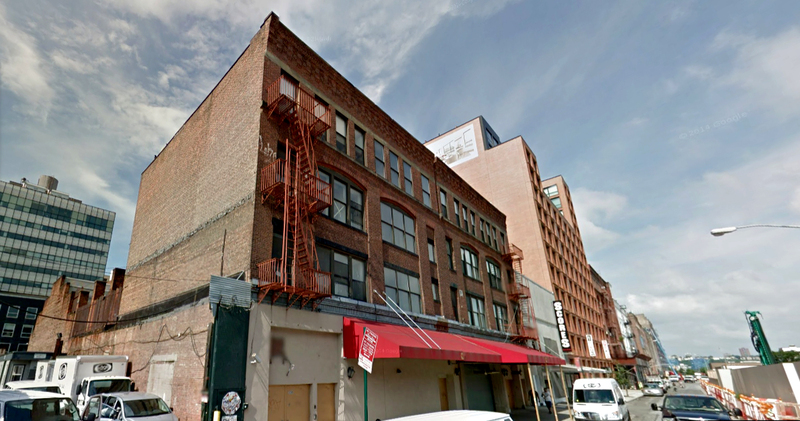 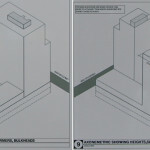 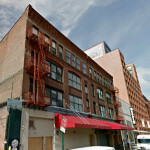 A zoning diagram posted on the site’s construction fence falls in line with earlier reports, showing two fraternal ten-story wings separated by an elevated courtyard.